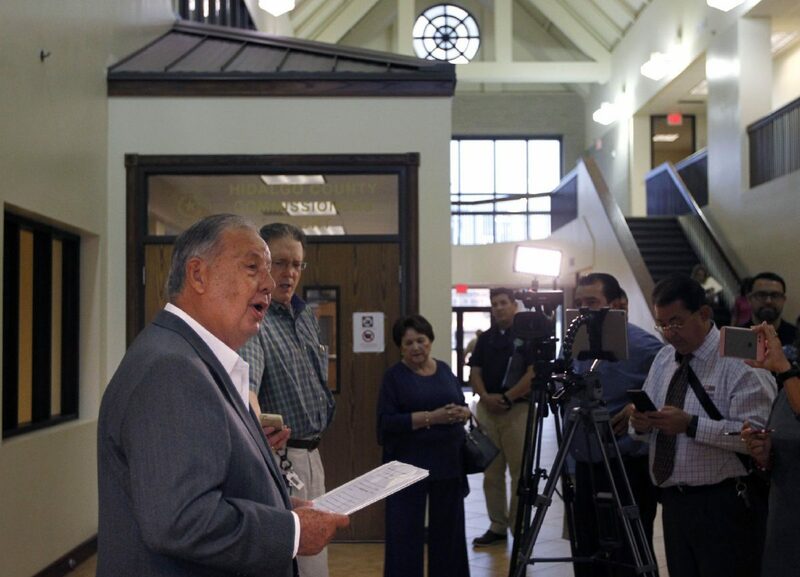 Richard Cortez announces his candidacy for Hidalgo County Judge outside the county's commissioners courtroom Tuesday, September 26, 2017 in Edinburg. Cortez will be running as a Democrat, the primary will be held in March 2018. 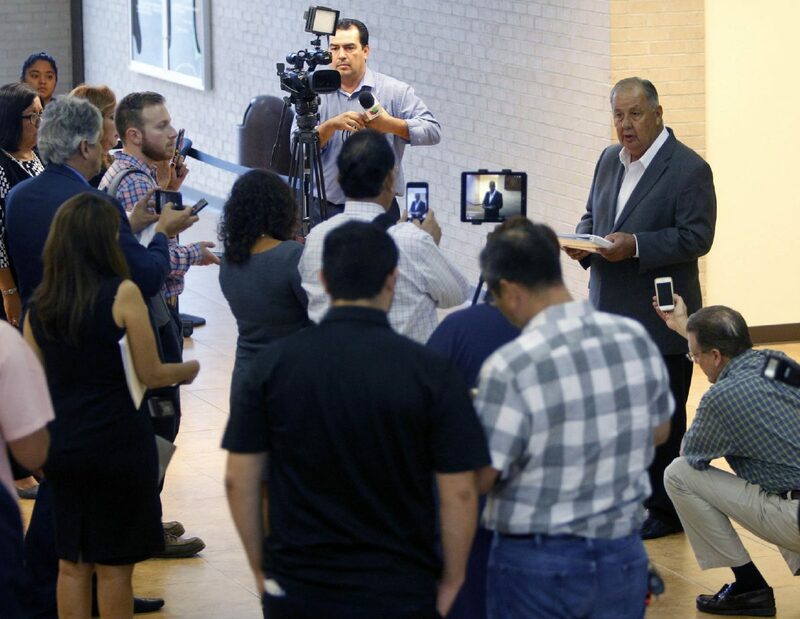 EDINBURG — During a makeshift press conference outside the county commissioners court Tuesday, former McAllen mayor and current Commissioner Richard Cortez announced a bid for Hidalgo County Judge. He said he will run as a Democrat. 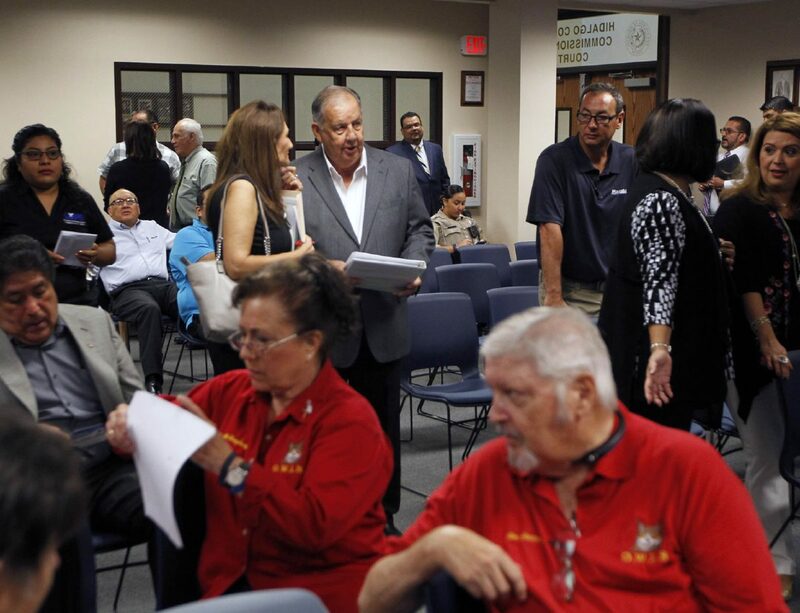 Cortez, 73, said he understands from his legal counsel that this announcement triggers his resignation from the McAllen City Commission. Cortez, who wants to use his background as a certified public accountant to bring financial expertise to the county, will try to win the bid for county judge in the March 2018 primary. Former County Judge Eloy Pulido is the only other person to announce candidacy for county judge on the Democratic side. Small business owner and former educator Jane Cross has announced a run as a Republican. 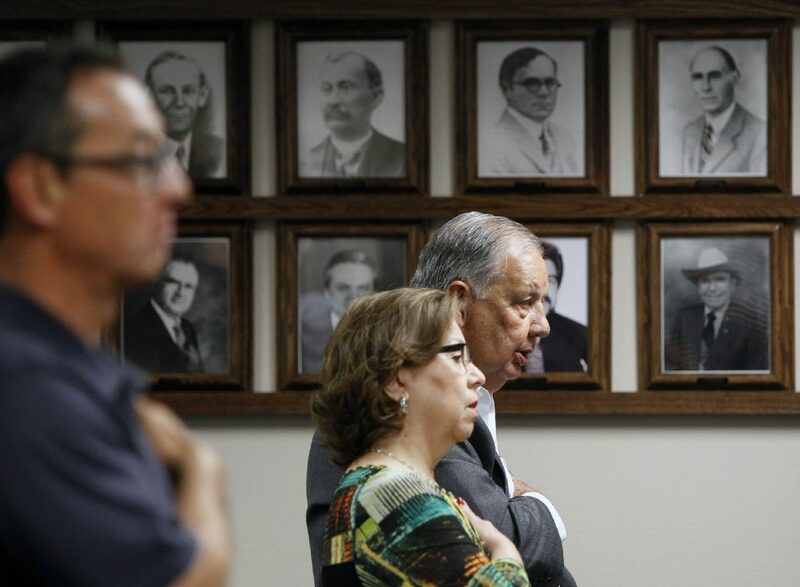 Richard Cortez, right, stands for the Pledge of Allegiance in front of images of Hidalgo County Judges before announcing his candidacy for the position Tuesday September 26, 2017 in Edinburg. The Hidalgo County Young Republicans were not pleased with Cortez’s announcement. Cortez, who was born in Mercedes and raised in Weslaco, said he has been a “proud Democrat,” voting in Democratic primaries since he was 18 years old. However, he has not always voted for Democrats in general elections. This will be the third public office Cortez seeks. He served as mayor of McAllen from 2005-13 and as city commissioner from 2015 until now. Cortez recently won his unopposed re-election bid for District 1 Commissioner in May’s election.